Is It Safe to Workout During Pregnancy? In the past, people made statements such as “eat whatever you want while pregnant” “eat for two” “if you are craving it, eat it because your baby wants it”. Things are gradually changing and people are beginning to realize the benefits of working out while pregnant. While pregnant, I had several people tell me I wasn’t meant to be working out while pregnant or that I should just walk around, or basically enjoy my free time from hitting the gym and being healthy. I believe I had a pretty smooth pregnancy with hardly any issues firstly because of God and also due to working out and staying healthy. Thankfully, I gained 17 pounds (7.7kg) while pregnant and gave birth to a very healthy baby girl. I was able to lose everything within 2 weeks postpartum even though my body physique is not the same. However, that may not be the case for everyone despite working out because every pregnancy is different, so listen to your body, you know your body best. 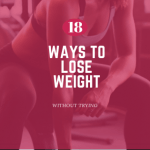 If you have been working out before getting pregnant, you can still maintain those workouts and just modify some to accommodate your growing belly and how you feel. If you have not been working out, you can still workout but start slowly. There are some conditions where it isn’t really advisable to workout or you may be limited in what exercises to do. Speak to your doctor first in regards to your health history and what he or she recommends as far as working out. You do not need to do anything crazy or complicated, simply find ways to stay active and eat healthily. Remember do not compare your pregnancy with that of someone else, we are all different and special in our own ways! Happy pregnancy to those who are pregnant or trying to be! If you enjoyed this post, you might enjoy reading my post on How to heal faster after vaginal delivery. Did you workout while pregnant? what are your thoughts?